There are several things we can never say no to - all Asian food, fresh donuts, Pio Pio and street gyros. 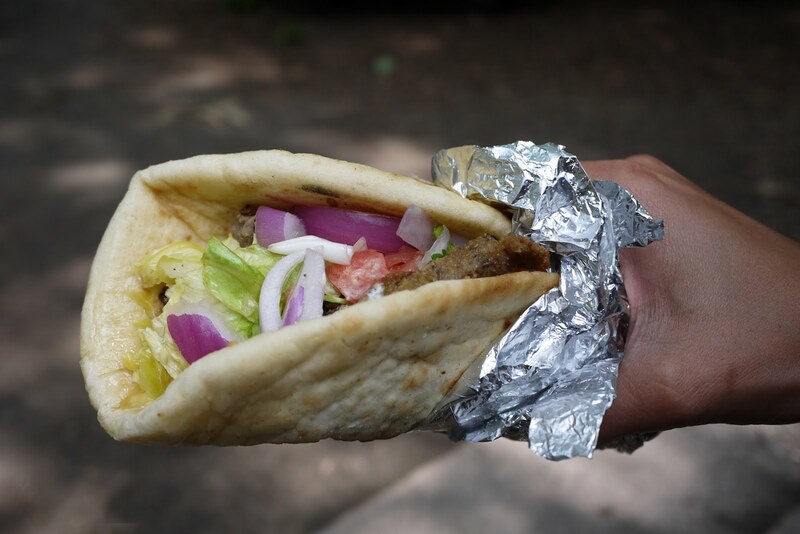 There is something so tantalizing about paying $4 for a warmed, soft pita stuffed with spicy, salty grilled lamb and garnished with a mess of lettuce, tomatoes and onions. I love asking for a little bite of hot sauce, because everyone's interpretation of "medium spicy" varies so greatly.